Please join us for the stage play "Absent from the Body?" A comic/suspense play which is “two thirds a thriller and one-third a devilishly clever comedy” and the play is indeed devilish! Written and directed by Tanya Thomas Taylor, the play is undeniably captivating. This is the story of a young man who is the apple of every girl’s eye, smooth talking and a sensationalist who comes to grips with his life as it slowly deteriorates around him. Terrance has always had things come to him easily but as easy as it is, he climbs and fails in every aspect of his life. Nothing ever seems to come to that pinnacle he is looking for although in his mind he’s hot, and he won’t stop until he reaches the top. Everything that goes up must come down and in this case crashing down. “Absent from the Body?” will keep you laughing and present a twist that will bring tears to your eyes as you sit on the edge of your seat. You will be waiting to exhale to find out what happens next from the very beginning to the end. 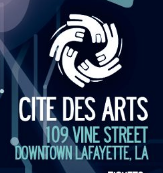 Thanksgiving Friday November 28, 2014, 7:30 p.m. at Cite’ Des Arts, 109 Vine St., Lafayette, La. Absent from the Body Part 2 will follow this performance on Friday November 29, 2014 and Saturday, November 30, 2014.